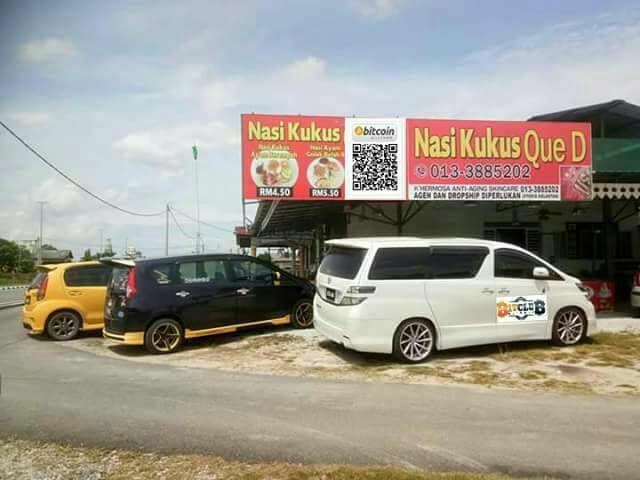 A couple of months ago, I wrote about Jijah’s NK Stall, a humble Nasi Kerabu restaurant that accepts payments in Bitcoin. At the time, I thought they were doing something unique in Malaysia. Oh, don’t get me wrong. I still think that 65-year-old Safiin and 65-year-old Azizah are forward-thinking visionaries for taking tender in Bitcoin. I just finally see that they aren’t the only ones. 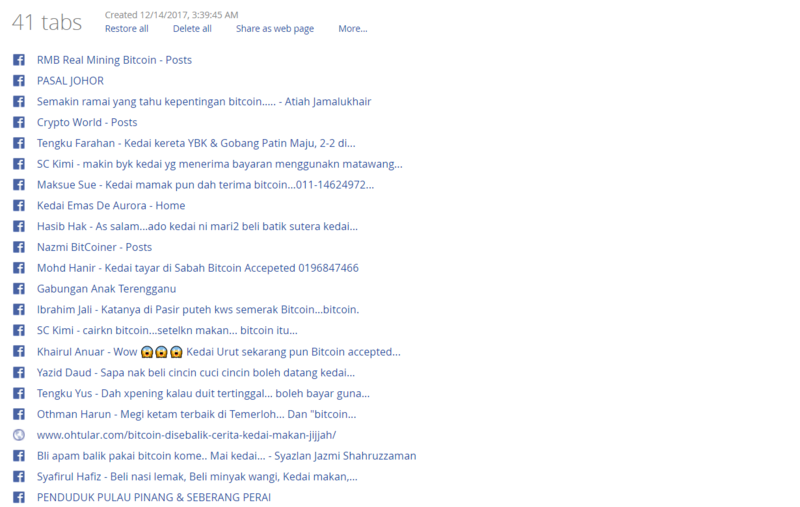 There has been an interesting phenomenon going on right under our noses here in Malaysia, and it’s Bitcoin. 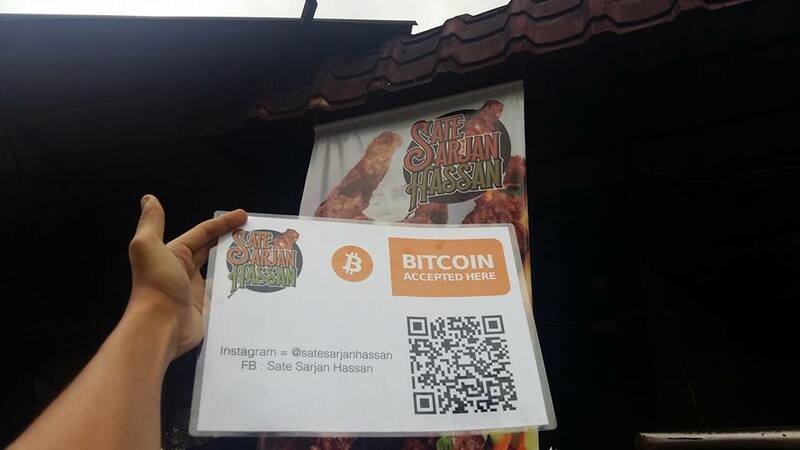 Specifically, how there has been a surge of local entrepreneurs accepting payments in Bitcoin in Malaysia. No, I’m not talking about an up and coming tech startup or a multinational corporation. 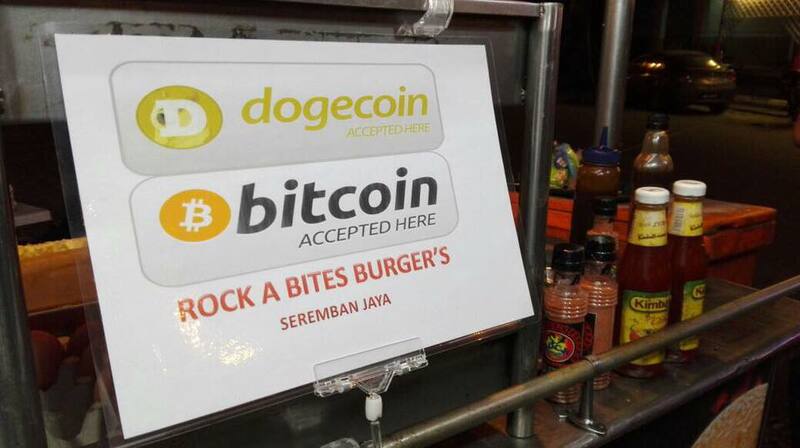 Instead, I direct your attention to a strange influx of burger stalls, mamaks, family-owned businesses, gold shops and any number of other more ‘traditional’ businesses that trade cryptocurrency for goods and services. Some of them offer cheaper prices if customers buy using Bitcoin. When most of us hear about the increasing value of Bitcoin and other cryptocurrency in Malaysia, we think about mining or investing in it. Meanwhile, these businesses are choosing to set up systems in their stores that are able to transact in their preferred cryptocurrency. I have to admit, this very specific trend puzzles me. Perhaps somewhere along the network and supply chain, an evangelist has been able to educate their contemporaries about Bitcoin. Perhaps there is a very dedicated group of evangelists going around letting everyone know. Image Credit: Sate Sarjan Hassan on Facebook. After all in my own research, I’ve found an interesting berth of seemingly unrelated individuals assuring that “Bitcoin isn’t MLM or a scam”—a very specific talking point. Or perhaps the operator that sets up the Bitcoin system in stores is a very good salesman. One thing that they have in common? They’re loud and proud about accepting Bitcoin. Seriously there’s a lot of them. Similar to how stores might shout that they accept a specific credit card, or recently Alipay, these stores are slowly adding a touch of legitimacy to transacting in Bitcoin by displaying these labels on banners, or stuck to their front doors. These banners aren’t exactly official, but they’re generally accepted as the international way of indicating that Bitcoin is accepted. In fact, other cryptocurrency have chosen to adopt similar formatting for their branding too. There’s too many of them to count now, and their numbers are growing. Me trying to research Malaysian shops accepting cryptocurrency. I started out writing this article as a listicle that lists out all of the shops doing business in Bitcoin. Each one of those tabs represents a different business that trades in cryptocurrency, and those are just the ones on Facebook. I don’t think I was even halfway done scrolling through store after store revealing that they “accept Bitcoin”. It turns out, I was going on a fool’s errand trying to make a list all by myself. 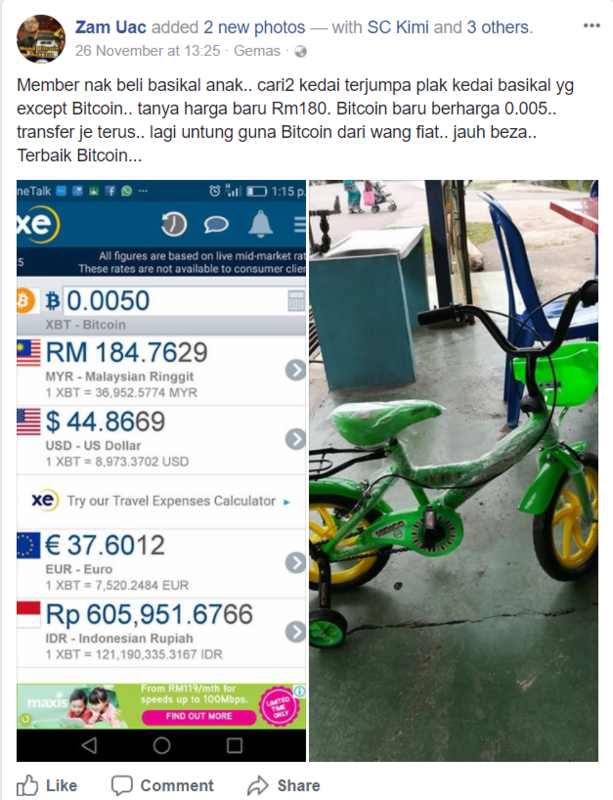 While I was shouting about one store taking Bitcoin, there are more Bitcoin-savvy Malaysians who have alrady seen this phenomenon at work. 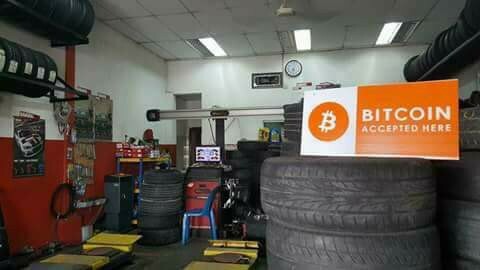 In fact, they think that one day, most (if not all) of Malaysian stores will be accepting Bitcoin. But why is cryptocurrency so popular? 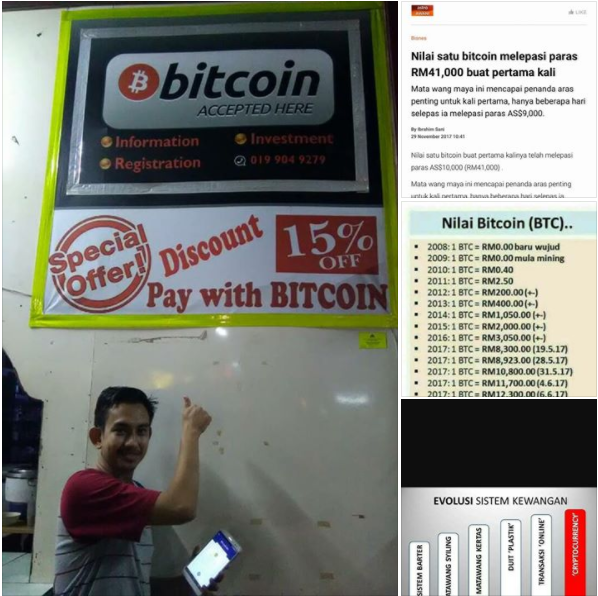 When I surveyed a couple of these businesses about why they trade in cryptocurrency, their answer rings similar to Jijah NK Stall’s answer. They’ll talk about countries like Indonesia, the UK, Sweden, or South Korea that are more advanced in advocating and regulating Bitcoin. They’ll send me screenshots and articles about the continued rise in Bitcoin’s value. Most of them called it the currency of the future. Malaysians are taking a while to adapt, though. There are Bitcoin enthusiasts that specifically visit a store if they know it accepts cryptocurrency, but for the most part, Malaysians are still unfamiliar with this concept. 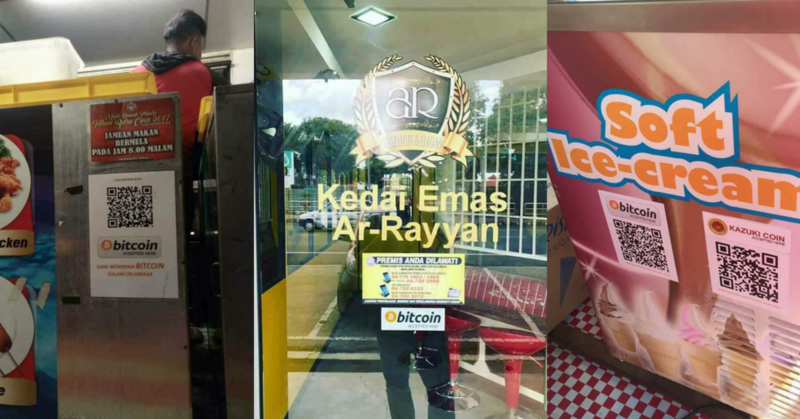 To see Malaysian staple family-owned businesses fully advocating Bitcoin in particular would probably go a long way to normalise cryptocurrency here. And to think, earlier this year Malaysians were balking at the idea of going cashless. But this raises some concerns. Cryptocurrencies are flying high right now, and that’s why these businesses can be considered “ahead of time” instead of “conned out of their money”. But Bitcoin and other cryptocurrency are known to be unstable. If the predicted Bitcoin crash does come—and hit hard—could this spell trouble for some of these small businesses that scrounge for a living daily? They say that small businesses are the backbone of the economy, after all. And I’m not putting down the intelligence of small business owners in any way. But if there are so many of them currently on board the Bitcoin train, do all of them know of the potential risk they’re taking? Many of the vendors I spoke to seemed knowledgeable, and hopefully able to plan ahead in case things do go south. Perhaps they cash out frequently, or perhaps they only invest whatever monies that they can afford to lose. Or what if Bank Negara’s final verdict on cryptocurrency regulation doesn’t go in these businesses’ favour? I’d hate to think if a positive movement towards technology adoption in Malaysia goes south. It could cause Malaysians eventually become mistrustful and left behind by the ever-evolving tech.